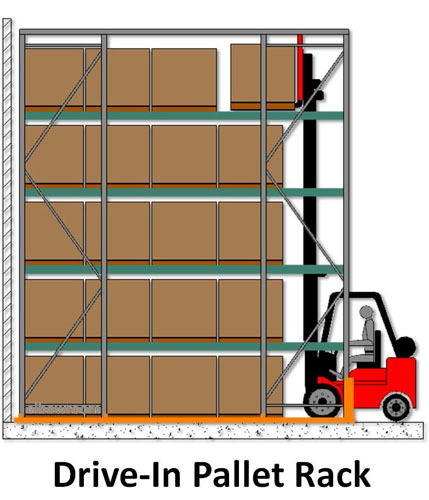 The Colby Push Back Pallet Racking system provides high-density storage where pallets are stored 2, 3 and 4 deep. 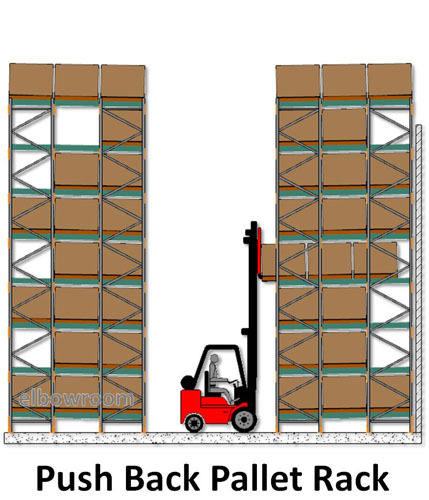 Using a forklift, pallets are pushed back on inclined rails mounted inside the racking. 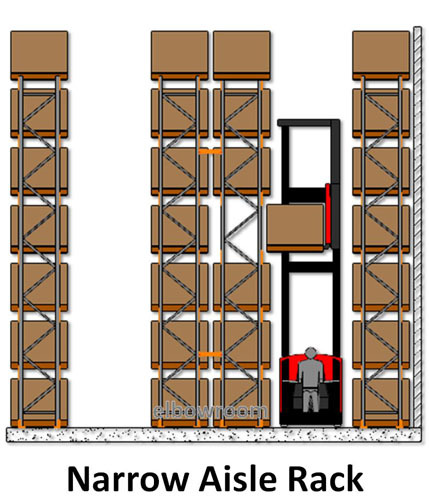 This solution is ideal for businesses that deal with a low-medium SKU count and where it is acceptable for Last In, First Out (LIFO) practices to be used. 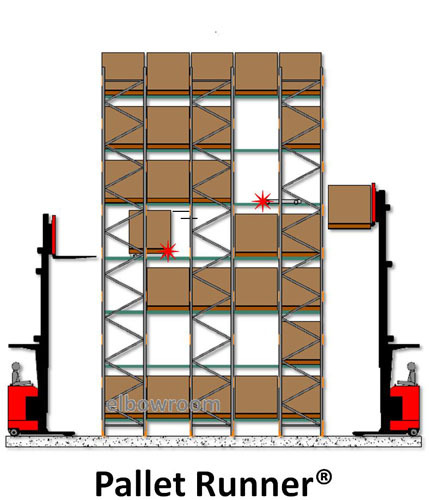 Non-perishable food products and beverages, hardware, construction materials and many other products can be stored with push back pallet racking systems. 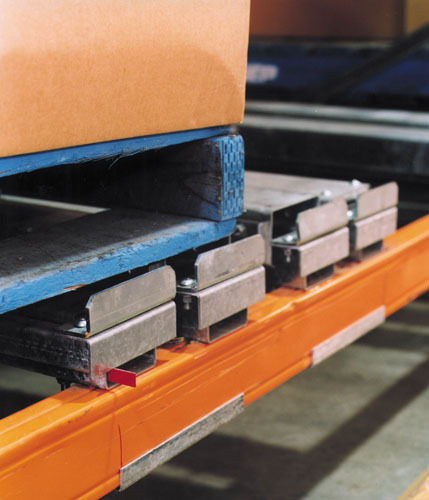 As a pallet is taken, the pallet behind automatically slides forward to the front position. 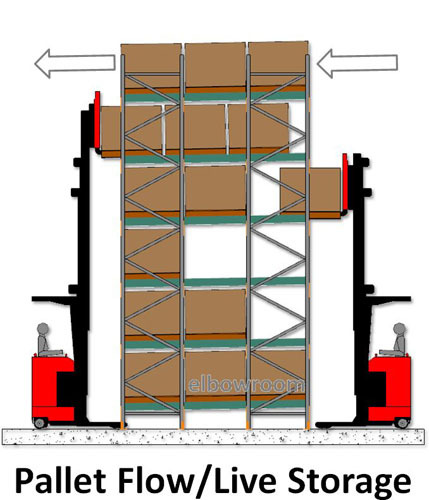 Push back pallet racking is a front loading and unloading system with limited but reasonable selectivity. 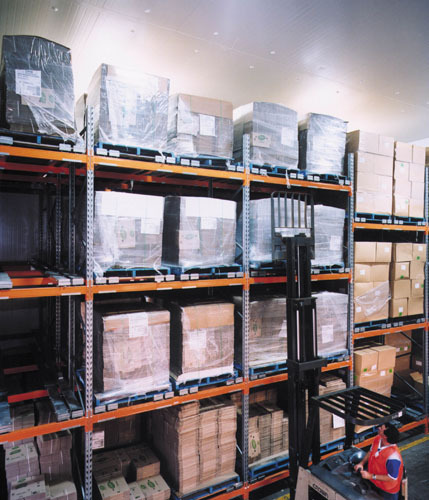 If push back pallet racking sounds like a storage solution that could work for your business, be sure to call one of our highly qualified warehouse storage experts on 1800 810 331. 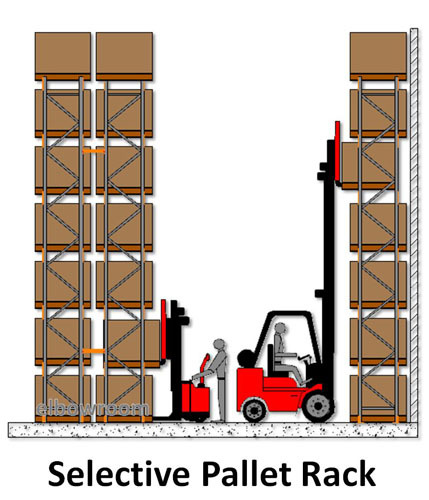 We can help you determine if this is the most suitable racking system for your space. 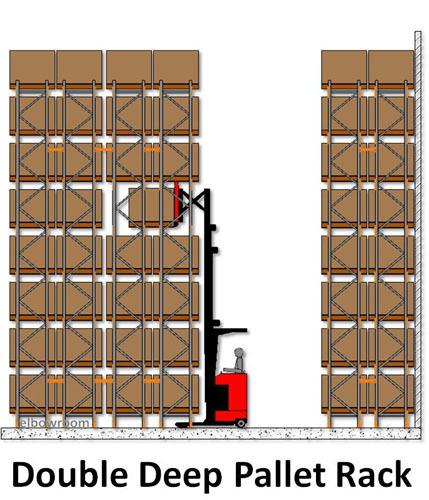 High density storage for a low-medium SKU count is required and where block stacking is not desirable. 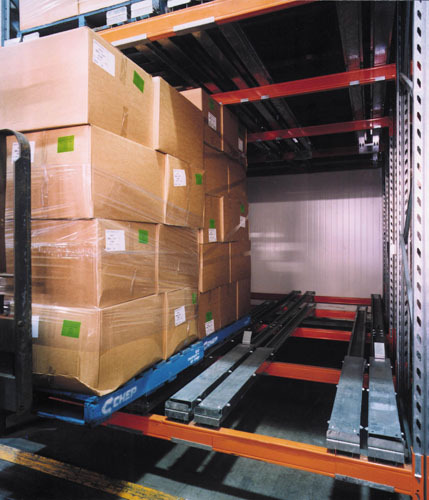 Australian Standard pallets in use.